In their compound the men take off their black masks and slouch over their plastic tables. Katy Perry's song Fireworks plays from the radio. The mule girls collect the black masks to be laundered. One of the girls had made her own mask out of black and white material. When she puts it on, she looks like a zebra. They take her outside and the zebra is no more. The men go back to scratching their heads watching the flakes scatter about on their forearms, onto the table, down to the floor. The room stinks of their beheadings and sweat. The mule girls stand to the side waiting for instructions. For fun they drink bleach. The powder piles underneath their feet. The white expats dance at the discos waiting for them. They're a plastic bag. They're a balloon. They're indestructible. They had 131 journalists dead. They will drift. They will start again. They will go over oceans. They will go north, south, east, and west. They will go everywhere. They will not stop. They will not tolerate zebras. The mule girls cheer, clinking their bleach-filled wine glasses. They knew their precursor drugs came from China. They knew there are no zebras in China. Only pandas. They will be docile and sweet like panda bears. They will not stand out like zebras. They begin digging that night, their dandruff inspiring them. Flaking and floating, sailing and scattering. It takes them six months. They reach China in time for the spring festival where fireworks blast morning and night. They establish the time-frame, they get in touch with the contacts, and they buy the fireworks. The policemen knock on their doors. They ask to step inside their homes, they ask to examine their visas, but the fireworks piled on their living room floor make them forget. The fireworks call out to them. The Dream Scream, Patriotic Dominance, War Lord, Snub Nose Artillery, and Saturn Missiles wiggle before their eyes and the policemen arrange for a select few to camp in their living room. They explain they need to make an inventory of their fireworks. They introduce them to Taobao website and the cartels buy more missiles dirt cheap. They learn to make green tea. Their Chinese dictionaries become tattered and spineless. The policemen's wives teach them how to make jaozi, their mule girls teach them how to make corn tortillas. They meet the grandma that worked at the hospital. The Mexicans like Tsingtao beer the best. Then the time comes for the policemen to go home to give their respects to their elders, to eat their mama's jaozi, and to fire their own fireworks. The air is a blanket. A permanent dense-gray haze. Spring, winter, and fall the air stays the same. The coal burning furnaces keeping them warm. In the summer, they depend on the factories and they continue to blast their missiles and gifts into the air. Money pours in. There are fewer causalities. Fewer blood spots to clean. The mule girls stop drinking bleach. At night the policemen, grannies and children camp out in their courtyard. The Chinese offers their cigarettes, the Mexicans offer them Tsingtao beer with lime wedges. The white stuff falls from the sky. They dance all night to karaoke. The fireworks screech and moan. “Fēicháng hǎo!” they scream. “Tài piàoliang!” they say, clapping. Words like “sí” and “duì”, “bien” and “hǎo;” “fantástico” and “lìhai.” Their hearts beat as one. They dream up strange theories and hallucinations. Nixon and Chairman Mao and Trump are best friends. The sautéing cumin tofu and smoky homemade tortilla smells intermingle in the air. Together they devise a plan to buy a panda. Cute and cuddly. Docile and sweet. They've already bought an apartment building. The one that faces west, the one that had a large basement. They will take turns looking after the bears. They will charge admission. The policemen give them a number to call. The policemen advise them to keep it on the down low. They obey the policemen. The mule girls still keep their bleach. Underneath their mattresses are jugs of bleach. But they're going to start over. At night the mule girls will sneak to the basement and take the bears back to their bedrooms to sleep with them. Katy Perry's song Fireworks blares from their MP3 players. They'll not feel paper-thin. They'll not feel like a house of cards, one blow from caving in. They'll be spotless and unblemished like the Holy Ghost. They'll be shining and sparkling like diamonds. They'll be docile and sweet like innocent newborns. They'll be cute and cuddly like teddy bears. 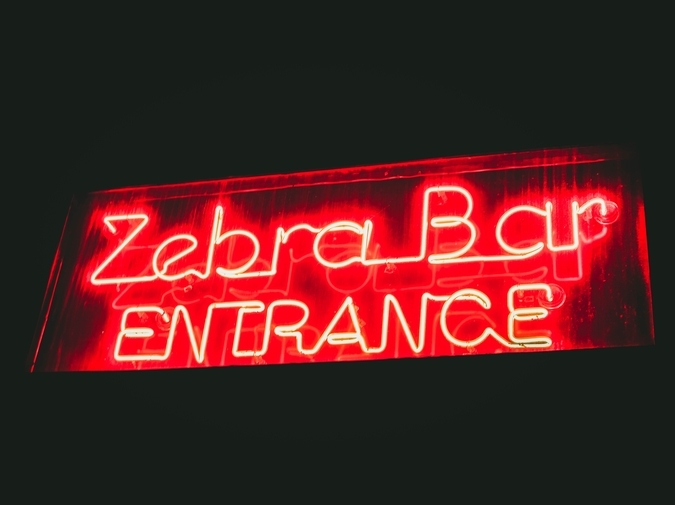 There will be no rooms for zebras.